I called and talked to Continental regarding their current new O-200 offerings for the experimental market. Pricing is for stand alone new engines, and no core or core charge is required. The rep was very friendly, helpful, and willing to answer questions. Weights include accessories, no exhaust. I called Lycoming at the same time to check on the O-233 and talked to a rep, but have not received a return call with the pricing. Like many of you I am weighing engine options, and for whatever reason there isn't a lot of information online regarding engine details and current pricing. The D model puts out a little more power due to the higher compression. Both engines require a $3,000 deposit and the balance at shipment. Both engines have a 2 year warranty. - 199.7lbs with all accessories. - Approximately 224lbs with all accessories. Last edited by lsa140; 02-21-2016, 01:16 PM. Thanks for sharing. Are you considering any other engines? A Rotax would be great for staying light, not sure how you could keep the balance in check other than to hang it pretty far off the front. Spendy little guys, aren't they? I would be comfortable with a 912uls, and it would be around 40-70lbs less than a Continental or Lycoming. It would need to be pushed forward to compensate for the lighter weight. I don't know how far, but I'm guessing it would be similar to the difference in the CH750. (bellow) The top aircraft has an O-200 and the bottom a 912. The LSA has a long and thick enough aft fuselage/tail that the long cowling would visually look fine. You would likely need to pioneer that installation on the LSA, which would take more time. The 912is looks like an incredible little engine, but I don't want that many electronics/high pressure fuel lines flying around on this airplane. I can take apart and work on any part of an O-200, that wouldn't be the case on the 912is. Rebuilds also appear to be expensive on all 912s. The six cylinder UL Power engines are really tempting to me. Watch the video showing the installation Rans did on their S20, it sounds like a Cessna 180: https://www.facebook.com/RANS-Design...7375816533/The UL390i is rated for 140hp at 3200rpm, but I think with the appropriate prop for the LSA you wouldn't be getting that RPM or HP. I'm guessing it would be comparable in real world power to a higher compression Lycoming 235 or their 233. It is a new engine, and likely to come with those inherent challenges. It is also fuel injected, which is good for efficiency, but again like the Rotax it comes with the electronics and high pressure fuel lines. The cost is higher as well. (for the six cylinder engines) You also run the risk of it being a relatively new company trying to make it in a really difficult market, parts may be an issue down the road. A company like Continental/Lycoming/Rotax has a lot of engines flying, and a lot of development/money behind their product. The Corvair looks to be around the same weight as the O-200, and it has the smoothness of a 6 cylinder engine. Out of all the auto conversions, this one would interest me the most. Scratch building the airframe is enough right now, I don't have the desire to also take on a project engine. 1. It has already been pioneered on the airframe. 2. It is a very reliable and established powerplant. 4. You can replace one of the mags with electronic ignition, and gain its advantages, while still running one traditional mag. 5. Acceptable weight, with options to lighten the installation. 6. More potential buyers. I believe with the current interest in LSAs, a well built Bearhawk LSA (with a traditional aircraft engine) would not be difficult to sell. I will likely end up with a lightened, and lightly tuned O-200-A. (Higher compression, balanced, possible C-90 cam, one mag swapped with electronic ignition, and a tuned/muffled exhaust.) To start with it may just be a stock engine with the performance upgrades later. Last edited by lsa140; 02-22-2016, 10:41 PM. Another auto-conversion company is aeromomentum, they have the AM15 (http://aeromomentum.com/am15.html) and they claim slightly lower weights than the O-200. Again, you're talking about electronics and high pressure fuel lines, and in this case with less redundancy. With a $13,000 price tag with accessories and an O-200 mount kit, it definitely looks appealing. A 912UL or ULS with a Zipper Big Bore mod would be awesome to see. It may be worth doing some brainstorming on how to stay within CG without moving the engine too far forward. Your post on having a baggage compartment above the rudder pedals would help. Bob's prototype flew with a modified A-65 at the beginning if I remember correctly? The A65 has a dry weight of 170lbs according to Wikipedia, pretty close to a 912ULS. If you're going to have an electrical system, throwing in another battery or some redundancies there could bring you forward more. I am also not aware of any CG data for the LSA, not sure what the margins are for room to play. Your comments on the ULPower engines are spot on, in the mid 2000's for prop speed, you're not going to get close to the rated powers. Not to mention the cost is exorbitant. Of course, like you said this all adds to the time spent going it alone. I was looking at the Zipper products the other evening, very interesting. At the very least it is good to see someone other than Rotax making parts for the engine. The Aeromomentum looks like an interesting little engine. I wonder how many of them are flying? I have tremendous respect for anyone taking on the complex task of developing an auto conversion and bringing it to market. So many advancements have been brought about by a guy in his garage, trying to find a better way. It is easy to sit back behind the buffer of the WWW and critique such efforts. The fact is that people are out there doing something, and that is admirable. I also think going the auto conversion route is a good choice for many people. With that said, I will be carrying precious cargo over some very rugged terrain. I am very aware of the risks of building and flying in this environment. The high wing, robust structure, lower drag/higher aspect ratio wings (for this type of aircraft), light wing loading, and very reliable powerplant are all attractive qualities to me. I want to minimize the risk of that propeller coming to a stop in flight. (through engine choice, installation, and proper maintenance/operation) If the engine does lose power I want an aircraft with flying qualities like the BLSA. Each builder weighs these things, and makes decisions for their own project. It is part of the very enjoyable process of building your own aircraft. Last edited by lsa140; 02-24-2016, 08:10 PM. I've flown several hundred hours behind a 80 HP Rotax 912, without major issue. Also flew a bunch, behind another 912, that had every problem but toothache. They're just a bit 'tighter strung' than the small Continentals and Lycomings. That O-200 sure is one sweet engine! Starting with a 'clean sheet of paper', being able to choose from all of the above, I'd find a good O-200 to overhaul. Then, I'd feel more comfortable, over that rugged terrain! I have followed this engine weight thing and studied on it for a bearhawk lsa for some time now.I sold my BH 4seater and might do an LSA some time in the future.We do a lot of supercup builds and hot rod cub knock offs.We keep all kind of weight records of things like..stock pa18 wing vs.extended wing vs.covered,painted wing vs.different covering system,bare 320 vs.0360 ect. with certified digital scales.conflict is continental says about 200lbs for d model and they give a larger weight for the o200a..Mark told me his A with light weight oil tank and starter was 200lbs.I personally saw an O200A with light start and alt slick mags ,no exhaust tip the scales at 201lbs.just a little info and a nickel to give it some value.I have seen friends pay north of 200,000$ for a new age super light weight cub only to have it weighed for a new weight and balance and find that they haven't had it on the right diet and it gained 200lbs. from advertised. Great info, thanks for those numbers. I think the major weight difference between the A and D comes from the lighter (stock) accessories (starter/alternator). From what I can gather Continental lost a little weight on the D model by tapering the lower cylinder fins, hollowing the crank/cam, and building a lighter oil sump. I believe these weights include the carb/mags but no other accessories. All this info is dug up from various locations and pieced together, it is very approximate. On the O-200-D it looks like Continental reduced metal at various locations, and added an oil filter and came out 13lbs? lighter than the A model. (without Alternator/Starter) It looks like around 6lbs of that savings was from going to slick mags? 177lb base weight plus another 20lbs+ for lightweight starter/alternator and misc small items. That brings it to right around their claimed 199lb all up weight. It looks like Continental dropped around 8lbs off the D model long block. The A model equipped with similar accessories to the D should come in around 208lbs? Equipped with the lightweight oil tank that Bob makes, a little over 200lbs? The new A model that Continental sells comes with Bendix mags and standard heavier accessories. I'm sure that is where much of the additional weight comes from. Bob's C-85 with no electric and his light oil tank must come in a bit above 170lbs? I would love to see a side by side weight and dyno comparison between all of the above engines with various mods and compression ratios. I think the sweet spot for me is an A model lightened as much as possible with a little higher compression. Most of the aftermarket high compression pistons are over 9 to 1 compression, C-85 pistons bring it to around 8.7 to 1. Last edited by lsa140; 02-25-2016, 04:11 AM. I recently bought two new O200D models from Continental for overseas customers who wanted a new engine for their LSA's. If any of you decide you want either a new O200A or O200D, I can save you a few dollars buying through Bearhawk Aircraft. The weights as described above seem like good info. Craig, the O200A from Bob Barrows I have sounds exactly like what you are describing as your preference. Slightly higher compression pistons making about 105 HP. B&C lightweight starter, 12 AMP alternator - and weighed right at 200 lbs. Thats good to know, thanks for the info Mark. Cylinder assemblies are more expensive for the O-235 as well. Some of the earlier model assemblies are double that of an O-200. I ran into a very low TT time C1 for a great price, but cringed when I realized what an overhaul would cost. It is also interesting to note that Lycoming offers a two year warranty on all of it's cylinders, except the 235, which gets the exception: " * O-235 series cylinders are warranted for 12 months. " It sounds like an engine coming in around 200lbs or less is preferable. Last edited by lsa140; 02-26-2016, 07:00 AM. I don't like the sound of a rotax engine. They are more complex, with a radiator, prop reduction gear box, and I believe a far higher part count than on O-200 or O-235. 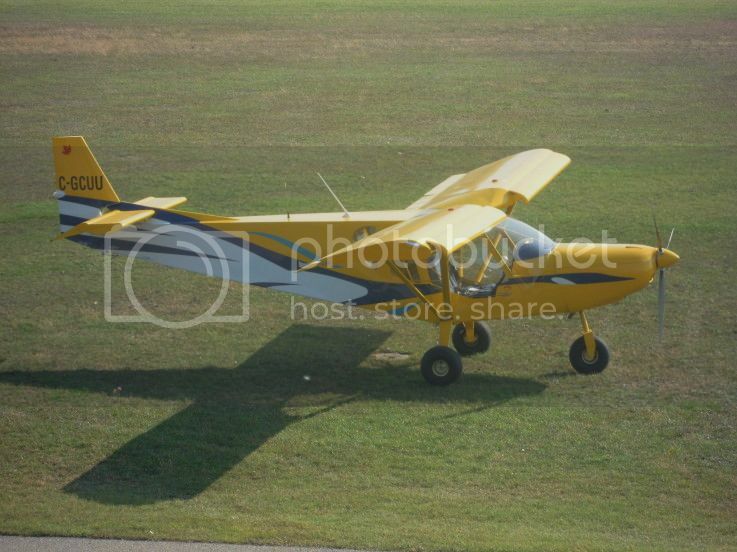 I also believe that an LSA with an O-200 will have a higher resale value. This is a link to an article published in Gerneral Aviation News in 2013 about a 100 hp Rotax 912iS. Although I don't like the way a Rotax sounds, I can't ignore their products. (I am building a Patrol, and this year they may have a turbo charged 135hp engine) Below are some things that perked my interest. 46,000 rotax 900 series engines sold between 1989-2013. 2.65 gph fuel burn doing training work. 3.25gph average fuel burn over the 260 hour test period. 3.4 gph fuel burn in cruise. It burns 91 octane auto gas and alcohol is OK.
$47,880 is what it costs today to burn 6 gph of 100LL based on $3.99 which is today price at my nearby airport. The engine may very well pay for itself. This is an important decision. The Rotax may be worthy of consideration. Last edited by Bcone1381; 02-26-2016, 01:01 PM. I don't like the sounds of a rotax either; it's like putting a Suzuki engine in a Harley. But they have a great reputation. Last edited by whee; 02-26-2016, 01:31 PM. I'm fascinated by the 912is Sport. The real world fuel burn numbers they have accomplished are incredible. Another thing Rotax has going for it is the massive amount of engines they have produced. (in all of their product lines) They must have a lot of experience and talent in house from all of the involvement in the various powersport industries. The 912is efficiency, combined with the BLSA would be quite the combo. I'm assuming you would need to run high pressure send and return fuel lines. Possibly the wing tanks gravity feeding to a small header tank, and the high pressure lines from the header tank to the engine? The fuel system would be quite a bit more complex than the one shown on the plans. I think a mildly tuned small Continental could still burn high octane auto fuel with attentive operation and care. We don't have ethanol mixed in our fuel in my area, which further helps the feasibility of burning it in aircraft engines. I think the fuel cost between the two engines could be much closer with both engines using auto fuel. That cost gap would grow smaller when factoring in overhaul cost. I will be using the BLSA to commute to very remote worksites. Fueling out of 55 gallon drums, and exploring the surrounding areas in the evenings after work. The simplicity/reliability of the O-200 (or similar small Continental) and accessibility to expertise/parts is hard to ignore. I'd like to build the engine, and over time get very familiar with it. The small Continentals are appealing with the large amount of interchangeable parts, and possible configurations. I like that it can be dialed into the specific aircraft, while still remaining largely true to the original design. There is a large dose of certified, with a sprinkle of experimental. Each builder's parameters are different, and this will greatly influence engine choice. There is no doubt that the Rotax is worthy of consideration. I'm looking forward to seeing the 915 roll out.